Thousands of green electricity customers around Australia have chosen to support community energy projects by contributing a bit extra when paying their bills – and Castlemaine Childcare Centre, also known as Carinya, is one of the lucky recipients. A grant of $10,000 from Powershop, Australia’s greenest electricity retailer, will go towards a new solar installation on the Centre helping them cut their electricity bill by around half. “Carinya was chosen to receive $10,000 because they are highly regarded amongst their local community for providing quality education services. What’s more, they are totally committed to sustainability, and the solar installation is part of their wider energy efficiency program,” said Ed McManus, Powershop CEO. “Powershop customers have collectively contributed more than $100,000 to support local green energy projects which proves how important renewable energy is to customers,” said Ed. The new solar installation is supported in partnership with Castlemaine not-for-profit, The Hub Foundation, which is committed to helping reduce the shire’s and the planet’s CO2 emissions. Hub initiatives include the MASH community solar bulk buy project which has installed 10,000 solar panels in the region, cutting CO2 emissions by around 4,000 tonnes annually. Daria Healy-Aarons, Chair of the Management Committee said “Being a not-for-profit childcare centre with 120 children enrolled, we value the money parents invest in their children’s care and education. Not only will the 10.73kW solar system cut our power bills – it will also provide the extra free, clean power we need to move forward with our other energy efficiency projects. We want to do things like put in new split systems to improve the comfort levels in all the rooms and now we can in the knowledge that they’ll be powered largely by the sun. For more information about the MASH community solar bulk-buy, which is currently open for registrations, visit mash.org.au. Melbourne based Powershop Australia powers more than 90,000 homes and businesses across Victoria, New South Wales and South East Qld. Powershop’s parent company, Meridian Energy Australia is the owner-operator of two wind farms in Australia (Mount Mercer in Victoria and Mount Millar in South Australia). If you switch using this link, then a small contribution is paid by Powershop to the Hub Foundation to support our work on the MASH solar bulk-buy project and our other work to help tackle climate change locally. They love solar! Solar customers at Powershop receive the same great rates and discounts as non-solar customers, along with an 8.2c/kWh feed-in tariff. 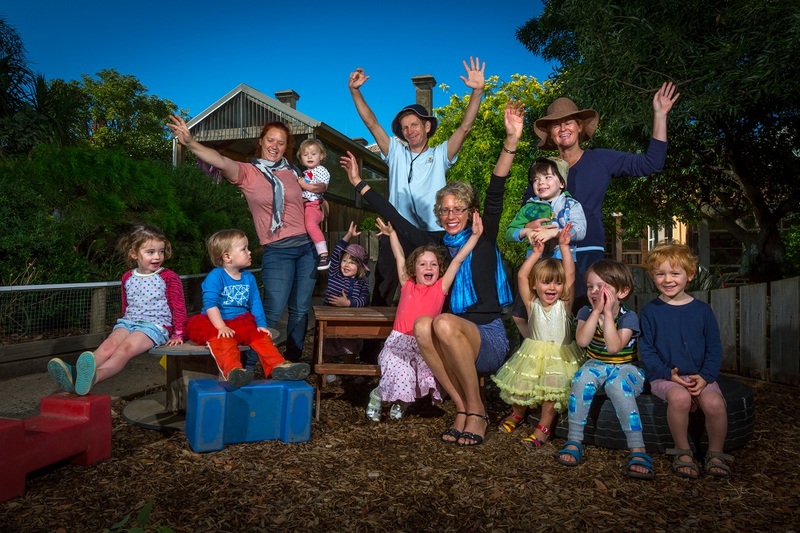 Castlemaine Childcare Co-operative is a not-for-profit community co-operative situated in the heart of Castlemaine in Central Victoria. They operate a 60-place long day care centre called ‘Carinya’ for children between the ages of six weeks and five years of age, including kinder and pre-kinder programs. They also manage Family Day Care, a network of educators who provide programs for under school age and school age children in their own homes and local schools. The co-operative was founded by a group of parents in 1982. Since then it has continued to be run by a committee of management made up of parents. At least one adult member from each family must become a member of the Co-operative on enrolment and buy one share at the cost of $1. Only members can nominate for positions on the committee. The co-operative is committed to sustainability and lessening their impact on the environment and with the funding from Your Community Energy they will be able to install a 10kW solar system to significantly reduce their electricity costs by an estimated 50%.